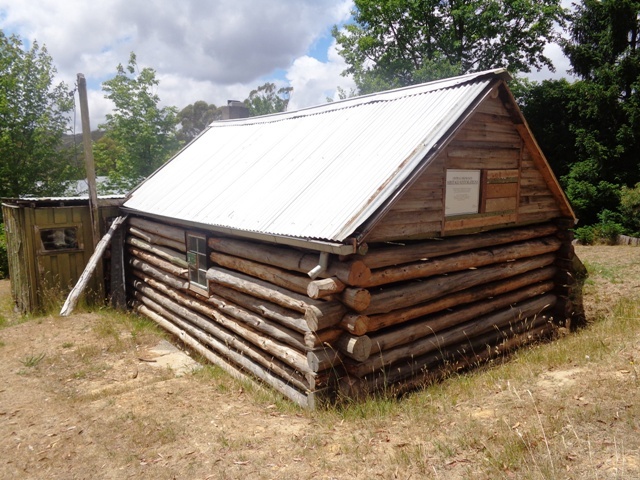 Shaw’s Log Cabin Whalebone Street, Blackwood. 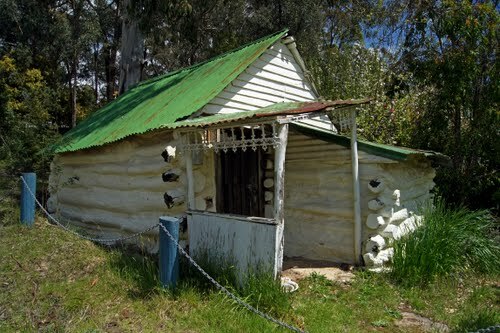 Built by one of the Shaw brothers who built Shaw’s Lake, Blackwood. 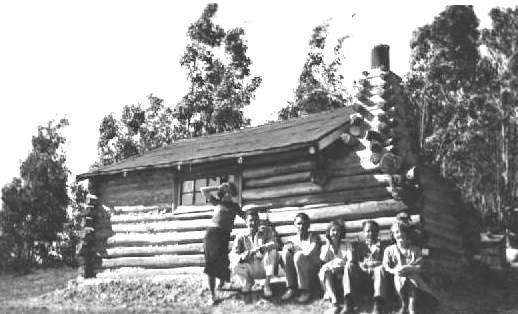 Log Cabin in Simmons Reef. Showing end of Log Cabin Simmons Reef with mud packed in between logs. 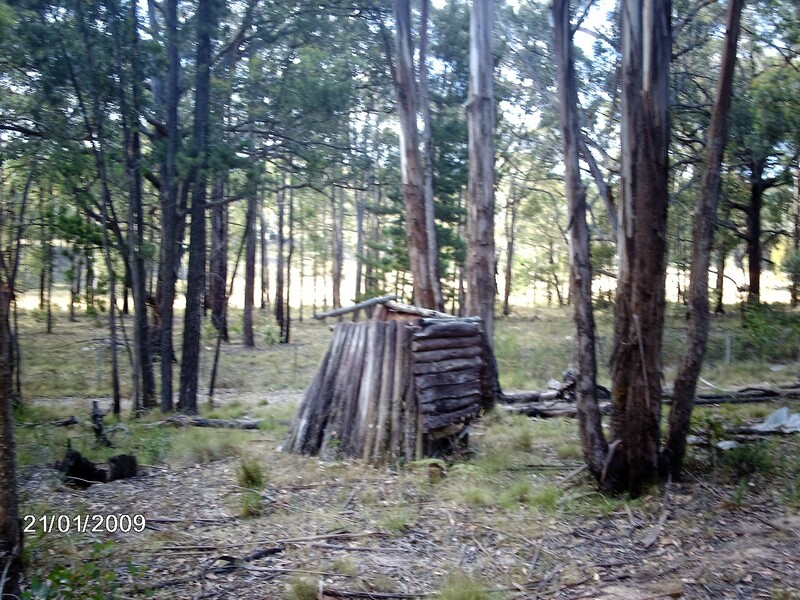 Bigger Log cabin Simmons Reef. 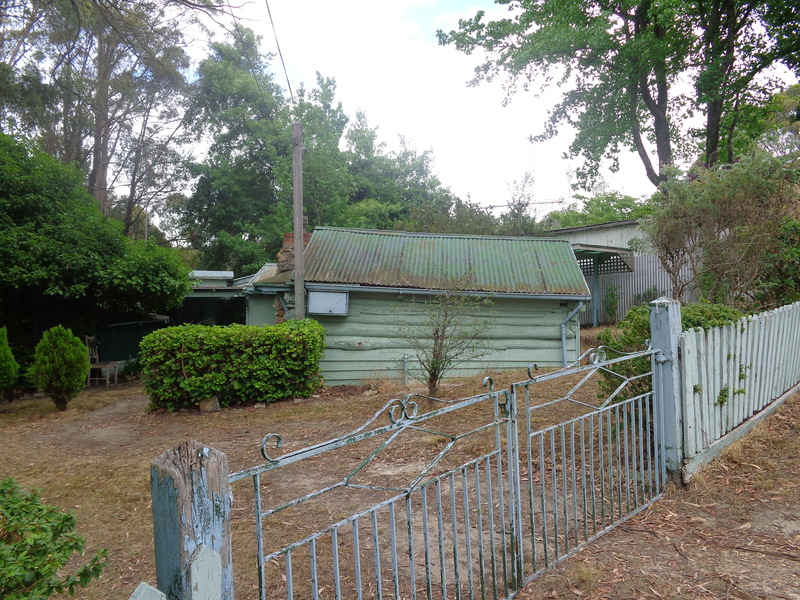 Log Cabin restoration in Whalebone street, Blackwood. 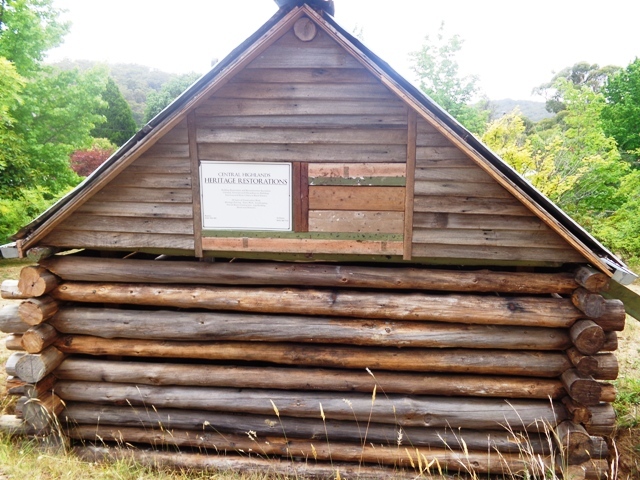 Central Highland Heritage Restorations Log Cabin, Whalebone Street, Blackwood. 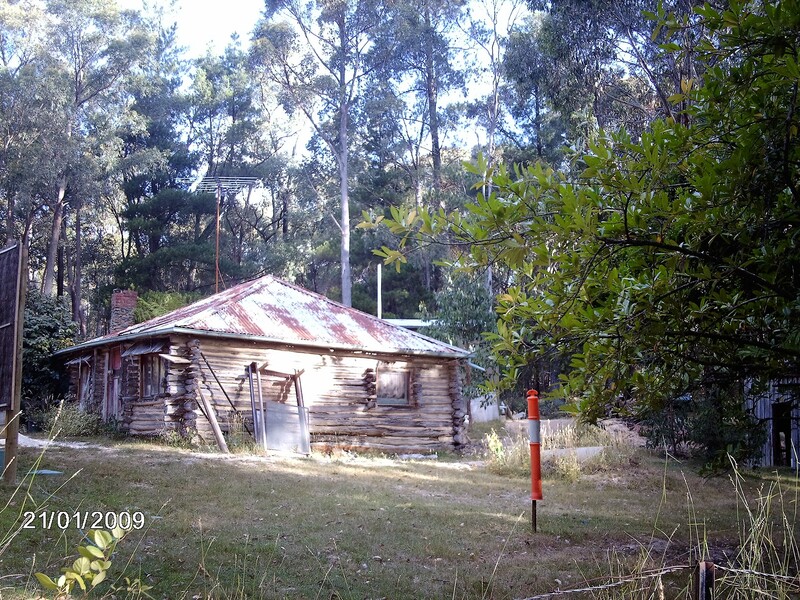 Log cabin in in Whalebone street, Blackwood. 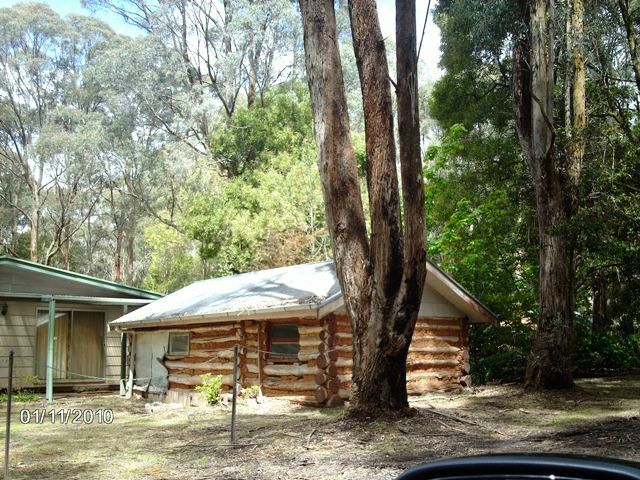 One of the log cabins which has been renovated with weatherboards in Whalebone street, Blackwood. 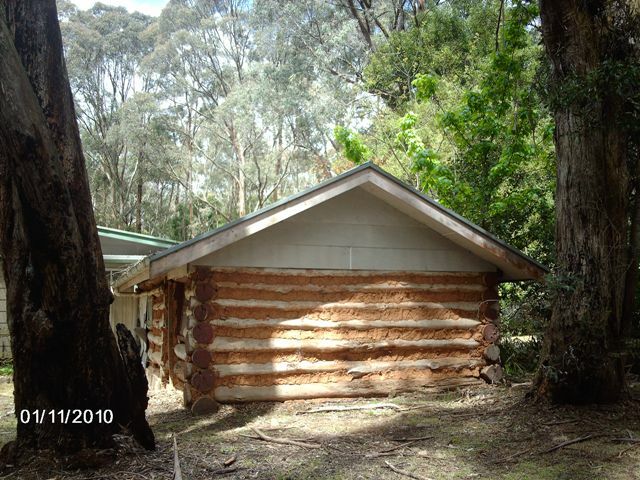 Extensions to a log cabin in in Whalebone street, Blackwood. 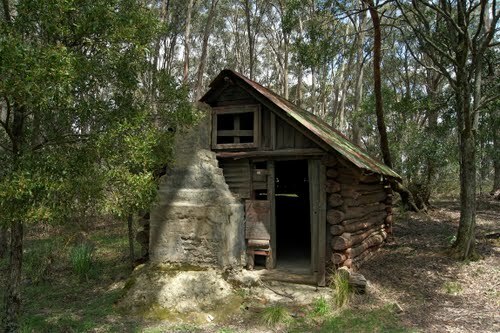 Blackwood had many log cabins in the early gold mining days and some still remain to show how the people lived in these small dwellings. 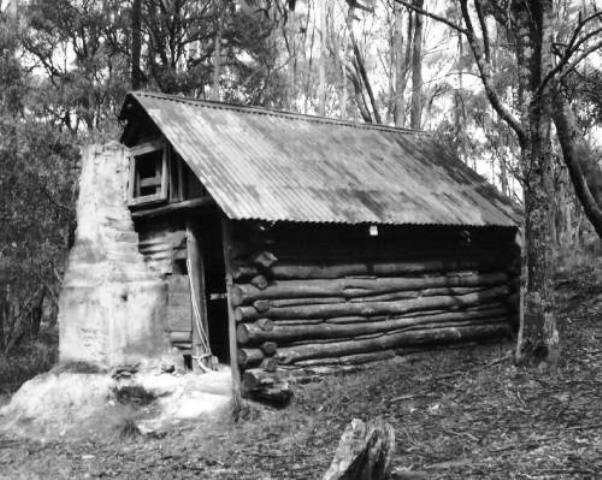 My own uncle built a log cabin in the main street of Blackwood, using logs which he filled in the gaps in between with cement and mud. 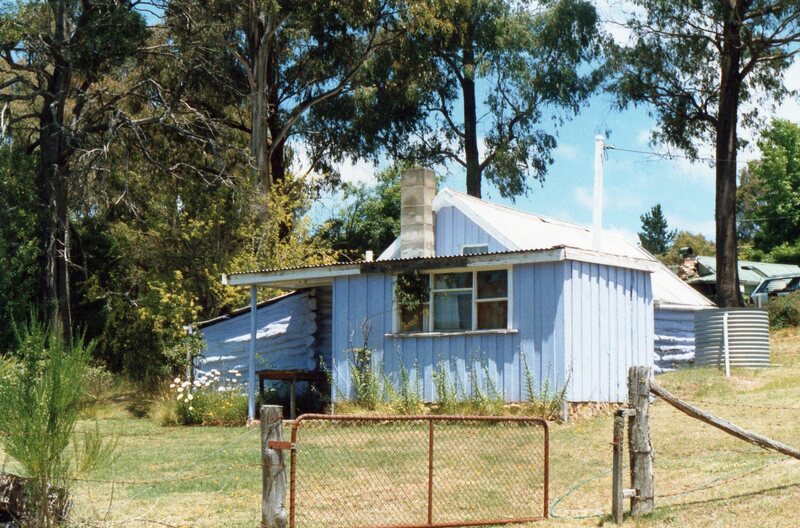 It was used as a holiday cabin and my uncle had built bunk beds down one end where my two cousins slept. Unfortunately it accidently burnt down in the 1980’s. 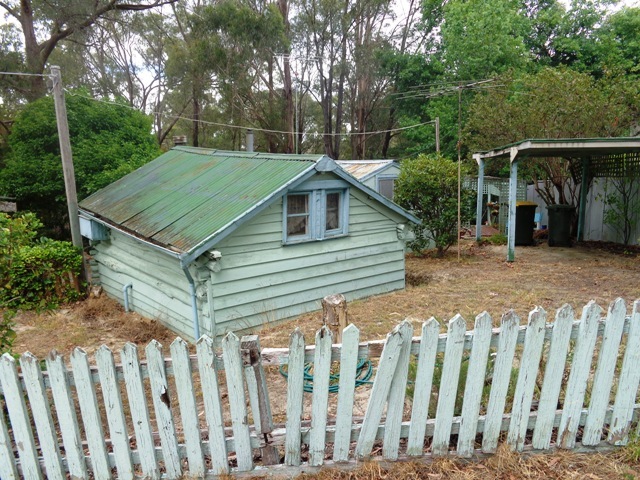 Cowell’s log cabin where it used to stand in Martin street, Blackwood, left my mother Dorothy Roberts, her husband Leo Roberts, my Uncle Fred Cowell, his wife Marjorie Cowell (my mother’s sister), Walter Warner, Frances (Dot) Warner – parents of Dorothy and Marjorie and my grandparents who had our holiday house ‘Wannawong’ built, on the corner of Warner street. c. 1935. 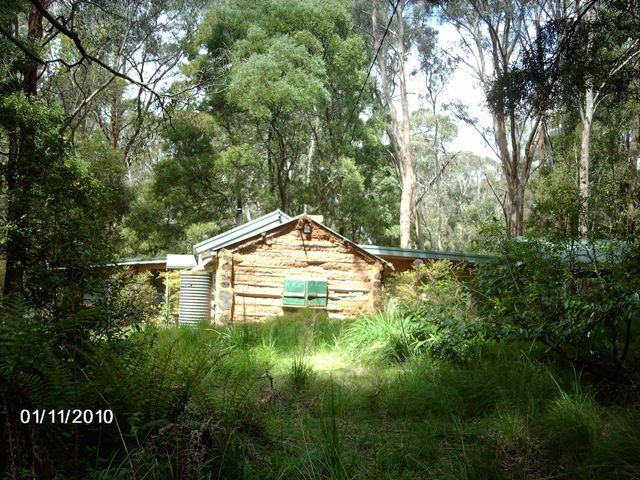 Baldwins log cabin Simmons Reef – up above garden of St. Erth. 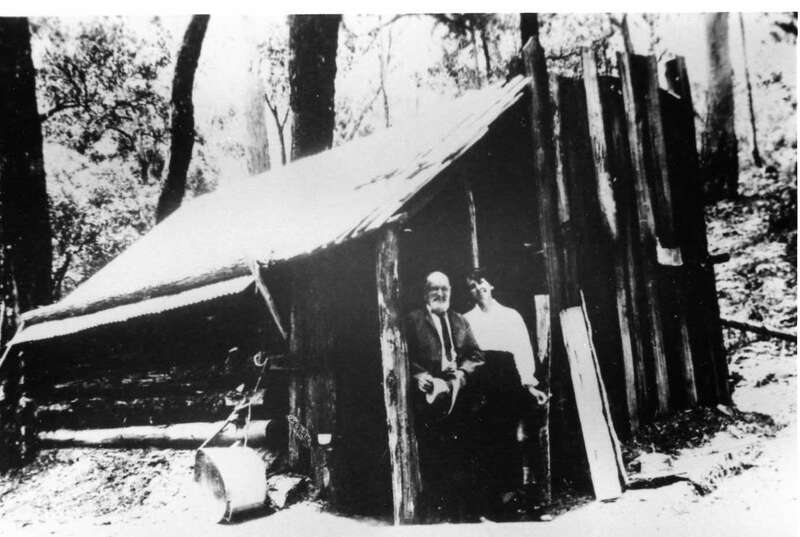 Charlie Foulkes with Maggie Duncan outside his cabin, Blackwood. cut notches on the top and bottom of each end. stack the logs and fit the notched ends together at the corners. “chick” (or stuff) sticks and wood chips in the gaps between the logs. 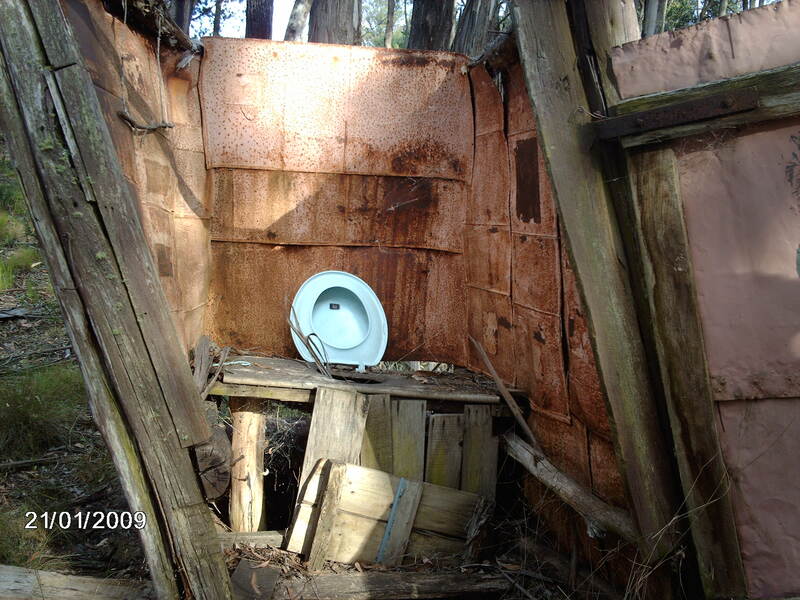 fill remaining spaces with mud. cut open a door and at least one window. rake the dirt and gravel floor smooth. Or cement floor or lay a timber floor..